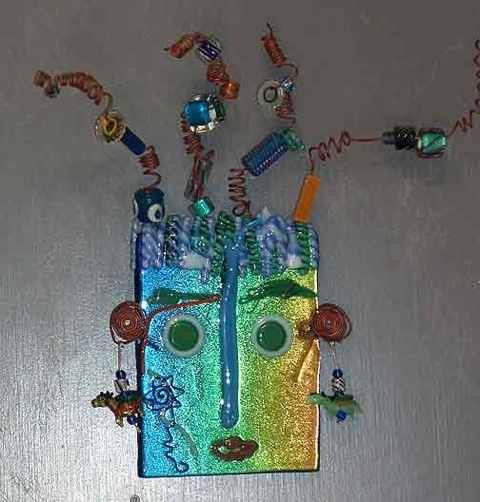 These glass masks combine silver making techniques Shawn uses in making her fine jewelry designs, along with a frivolity of using various kinds of glass. 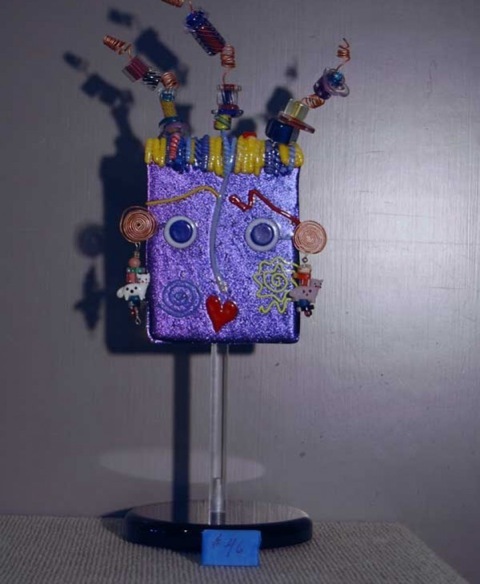 The wire work, although not new to Shawn’s masks, and the addition of hand blown beads, some of which are made by Shawn, add a colorful dimension. 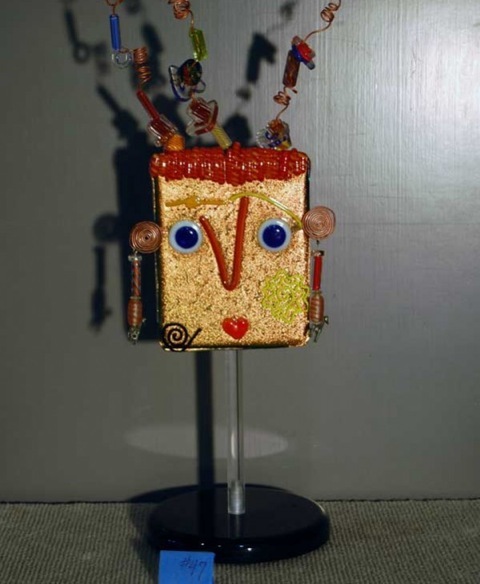 Although the size, color, and texture of these masks are different they are almost exclusively glass, thus the name Verre (French for glass) VuDu (magic doll). 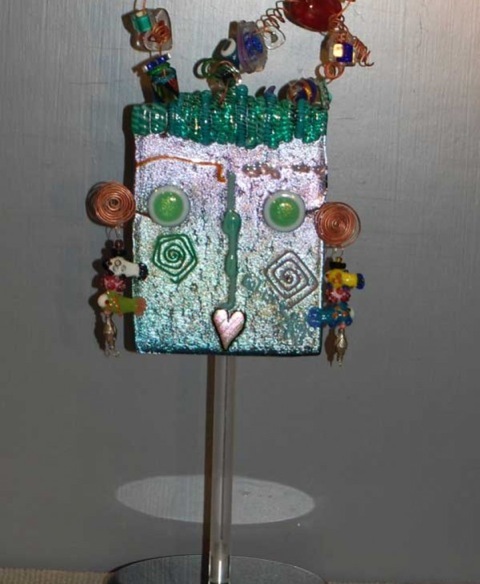 The earrings on these masks are a particularly expressive indication of Shawn’s command of the art in the mediums of both glass and precious metal. 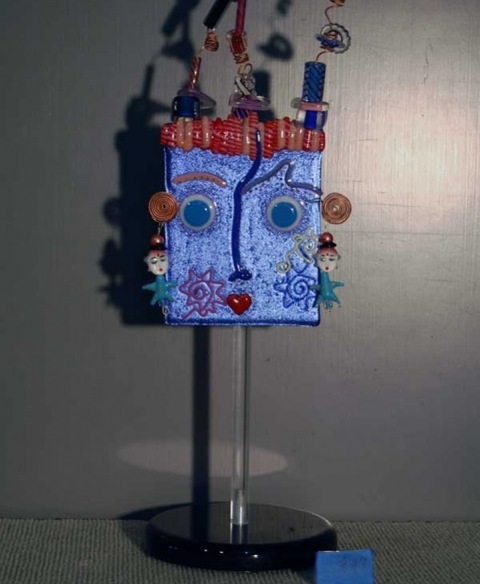 Her jewelry is not seen in combination with any of the other mask styles and this is one of the elements that make the Verre VuDu masks especially unique and exciting. Done in various shades of dichroic glass and black. 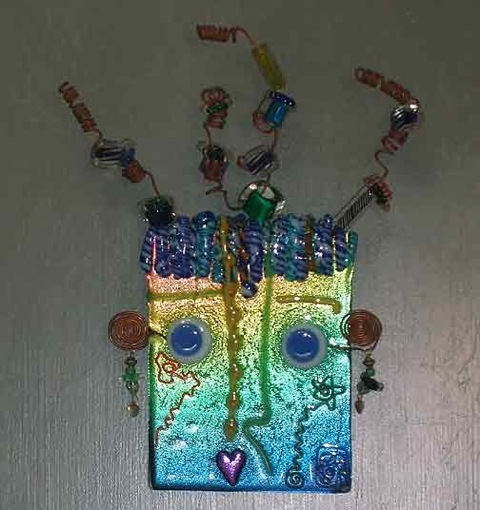 Copper wires grow from the top and are coiled with glass beads. The earrings are hand done with silver beads made in Shawn's studio and/or glass beads and/or sterling charms. 6" x12" on 6" round Plexiglas base. Height varies depending on the length of the pole. Looks best displayed in a grouping of short, medium and tall from 11"-18".